There are certain cues when you should not dismiss a food festival as just ‘another one’, specially if it offers grandmother’s recipes cooked by home chefs. 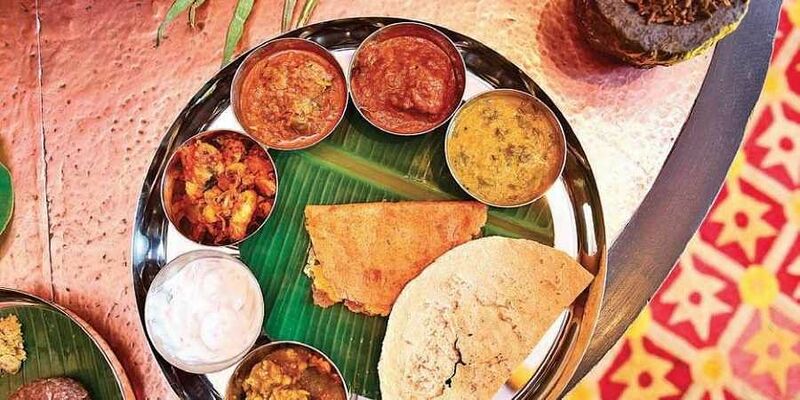 HYDERABAD: There are certain cues when you should not dismiss a food festival as just ‘another one’, specially if it offers grandmother’s recipes cooked by home chefs. 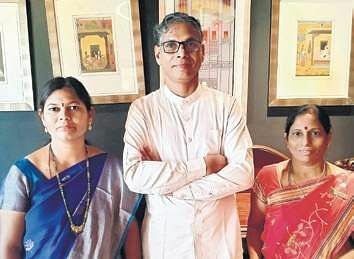 ‘Rendezvous with Rayalaseema Spice’ at Marriott Hyderabad has dishes prepared by Chef MV Naidu, his wife Rajyam, and her friends Jayalakshmi and Parvathi, who have come to the city from Anantapur to rustle up authentic Rayalaseema delicacies. The result was a very flavourful and healthy (hello millets!) array of vegetarian and non-vegetarian delicacies packed with robust spices and rustic ingredients. Keeping the clientele in mind, the heat level of the food was brought down a notch, but it can be calibrated according to the diner’s preferences, assured the chef. It was a sit-down meal and food was served on low chowkis. The starter platter had Kheema Balls (mutton), Pachi Karam Kodi Vepudu (chicken) and Pandu Mirapakaya Chapa (fish). The Kheema Balls were crispy on the outside and well done on the inside. The chicken, a specialty from Kadapa region, alternated between the subtle note of fennel seeds and the pungency of pepper. The pan-fried fish, coated generously with fresh red chilli paste, was the winner for me. The gingelly oil imparted a special flavour to the dish and the spices had made their way right into the flesh of the fish. The vegetarian starter platter had another Rayalaseema specialty - Alasanda Vadalu - made out of black eye beans, vegetable cutlets and Potlakaya Ulli Karam. The last one had bottle guard rings stuffed with a mix of boiled raw banana, coconut and peanuts. In the main course, Ragi Sangati was served with a country chicken curry, a side of dry prawns, a bit of jaggery and spoonfuls of ghee. The rich flavours of prawns and chicken went perfectly with the sangati. Accompanying the courses were three excellent pachadis (chutneys) made from red chillies, groundnuts and ridge gourds. The Mazzaga (spiced buttermilk) was an apt palate cleanser and coolant. Another specialty, the Ulava Charu biryani, made from horse gram lentil pickle, was scrumptious and packed with the goodness of vegetables. The other main dishes were Veta Mamsam (mutton), Allam Kodi Masala (chicken), Vankaya Battani Masala (brinjal and dried peas) and Gongura Pappu. The mutton was soft and the thick gravy was redolent with the aroma of cinnamon. The taste of ginger was dominant in the chicken curry. The brinjal dish, the chef informed, was a specialty of the region. “This is a dish eaten mainly in Rayalaseema region. While purple brinjals are commonly used in Telangana, we use white brinjals for this preparation,” said chef Naidu. The meal ended with a sweet platter that included Arisalu (sweet made from rice flour and jaggery), Bakshalu (flat bread with jaggery filling) and Semiya Payasam. The festival is on from March 15 to March 24. The vegetarian and non-vegetarian spreads are priced at `1,550 and `1,800 respectively, excluding taxes.